We have all dreamed of our blog posts going viral. Sometimes even too much. Most bloggers know that successful blog posts have a few basic components in common: a great title, valuable information and attention grabbing visuals. What many bloggers do not know is that promoting your blog posts is as important as writing it. Actually, we might even argue that it is more important. Without a loyal following on social media and/or blog subscribers, simply posting your blog isn’t enough. Even the best blog posts need a little help getting in front of the right people. Below are 21 ways you can promote your blog posts so they get the attention they deserve. Oh, and it won’t cost you a penny. Got your attention? Keep reading. Blogs and social media are a match made in heaven. As soon as you publish your next blog post the first place you should share it is on your personal social media accounts. If you have been attracting the right type of followers, they will love to read and share your posts. Take it a step further, though. Use social media as a free place to test different headlines to see what works best. Many times we end up changing the title of our blog posts after seeing a different headline drive clicks and social shares. Are you a member of any LinkedIn groups? We recommend that you join 50 groups, the maximum amount LinkedIn allows. By joining highly targeted groups you will have a perfect place to share your content. The best part about LinkedIn groups is their conversational nature. Try posting your next blog post in several groups and ask members for their opinion or to add their own thoughts. We released a blog posts discussing the best social media books and asked LinkedIn groups members for their book suggestions. We then updated our blog posts to include the best recommendations. StumbleUpon presents a unique opportunity for bloggers. As the 4th highest social media traffic driver overall, it is one of the first places you should consider leveraging if website traffic is your main objective. Unlike many social networks, the lifespan of content on StumbleUpon can last for several weeks or even months. This is due to the virality of the network. As ‘Stumblers’ read posts they can Upvote content that they like. The more Upvotes your post receives, the more people begin to randomly see it. This is great news for bloggers that produce high quality content, as the chances of sustained, free traffic is much higher than other networks. To increase your chances of being stumbled upon, make sure you categorize your posts with relevant tags. Do you ever see a blog post with hundreds of comments and feel a little jealous? If you do, you are not alone. Building up this level of traffic and engagement takes time. What if we told you that you could take advantage of the success of other blogs? A great place to promote your blog is in the comment section of other blogs. We aren’t talking about spamming the comment section of every popular blog in the world. Instead, monitor what people are talking about and join the conversation. If you have written something that you think will help solve their problem/question, share it with them. Self proclaimed as “The Front Page of the Internet”, Reddit is one of the most interesting social networks. Reddit threads see incredible traffic, engagement and loyalty. Couple that with the fact that there are sub-reddits for nearly every topic and you have a powerful place to promote content, right? Well, sort of. It is very important to know proper “reddiquette”. For example, posting your content to the right sub-reddit is crucial. Posting in the wrong place will result in down-votes, which make it nearly impossible for your content to be seen. Make sure you research Reddit best practices and spend some time engaging on Reddit before you start trying to promote your own content. Much like LinkedIn groups, Facebook groups are an ideal place to share your blog posts. Avoid focusing solely on the size of the group. You will find the best success by targeting very niche groups with highly active members. When writing a blog post you should have in mind who you are writing it for. Our blog focuses on social media marketing and content marketing, which interests a wide variety of people. Readers of our blog include entrepreneurs, aspiring marketers, social media agencies and marketing experts. Many of our blogs are geared toward just one of these demographics, so we will search for Facebook groups focused on that specific demographic. Don’t look at groups as one-size fits all. A group might be perfect for your next blog post, but ineffective for the post after that. Sniply is a powerful tool that can drive serious traffic to your blog posts. How it works is simple. By shortening your link with Sniply, you can add a call to action to any link you share. Imagine sharing an article from the Wall Street Journal and having a call to action for your recent blog post at the bottom. With Sniply this is possible. We have experimented with Sniply and are extremely impressed with the increase in traffic we saw. Email is still one of the most effective marketing channels. That is why businesses use it so much. We all get emails from businesses that we simply delete. Every. Single. Time. Quora is a site that was created to make it easy for anyone to get answers to their questions. When you think about blogging, the main purpose is to answer people’s questions and educate them about a certain topic. You can probably begin to see how Quora could be an ideal place to share your blog. Much like Reddit, the Quora community does not appreciate spam. Look for questions that you have answered with blog posts and share a link to your post(s). Providing answers to popular questions can reward you with a serious increase in traffic, as well as position you or your business as a thought leader. What does guest posting on other blogs have to do with promoting your blog posts? After all, you are posting content on their site, not yours. The answer is simple: everything. When you take time to guest post on other blogs you immediately expose your expertise to a whole new audience of people. An audience that someone else spent a lot of time attracting. As long as your write high quality content, this audience could quickly become fans of your blog as well. Make sure to include a short bio about yourself and a link to your blog and social media accounts. Many readers will check out your blog, which means more readers and hopefully more shares. Also, do not underestimate the value of building relationships with other bloggers. More on this in a little bit. When you write a blog post you typically have ideal readers in mind. If you do not, you will struggle to write content that actual people want to read. Let’s assume your content is optimized for a specific audience, now what? For a long time Pinterest was misunderstood. People were quick to categorize it as a “shopping app for women”, but this was hardly the case. Over the past few years Pinterest has crushed these assumptions and now boasts over 100,000,000 active users, including 13% of all men that are active online. Though Pinterest is an image-based social network, it is still a great place to promote your long form blog content. Much like StumbleUpon, Pinterest posts have a long lifespan. Start uploading images related to your blog posts and include a link back to the full post. Triberr is a social network for bloggers. The basic premise is that bloggers come together to help promote each other’s blog posts. Sound like a dream come true? We thought so! We are huge fans of Buzzsumo. Read enough of our blog posts and this will become very clear. Whether we are looking for content to link to, planning potential headlines or trying to find influencers, Buzzsumo is always in the mix. So, how can you use it to help promote your blog posts? It is simple: leverage the information available to create valuable connections. For example, you can easily search for the topic your blog posts covers and find hundreds of other, similar blog posts. You can also quickly find everyone that has backlinked to that blog post. Can you see how you can quickly create a list of hundreds of interested readers? Try reaching out to these people directly to let them know about your recent post. As long as it is high quality and offers unique value, most bloggers will be thrilled to check it out and share it. Bonus Tip: Pay close attention to the social share analytics available on Buzzsumo. Knowing which network is sharing certain types of content more than others can help you decide where to focus your promotion efforts. A common blogging practice is linking to other blog posts to give readers a place to go for more in-depth information. When you first start blogging, you typically have to link to outside, more credible posts. However, as you begin to grow your own blog you can begin linking to your own posts. Doing so will direct readers to more of your posts, as well as provide much needed information. When done right your new blog posts will act as a magnet for traffic to your older blog posts. Digg is a news aggregator that categorizes content and make it easy to find content based on specific topics. As content curation continues to grow, so will the opportunities for you to get your content seen. By uploading your blog posts to Digg, you will have the chance of being seen by hundreds or even thousands of interested readers. The best part about sites like Digg is that they deliver highly targeted readers, as opposed to simply showing it to anyone. Marketers have been divided on Google+’s effectiveness as a marketing channel since it launched in 2011. On one hand, Google+ was packed with features that confused users more than they helped them. On the other hand, behind that wall of confusion were a few features like communities that had marketers extremely excited. We seem to believe that Google+, much like Pinterest, is misunderstood. Part of the confusion is due to the fact many people likened Google+ to Facebook. That may have been the initial idea, to take down Facebook, but Google+ has evolved into a network that more resembles Twitter or Reddit. The biggest similarity is how the communities separate themselves and group together. These communities can be the perfect place to share your blog posts. Start by creating a few communities of your own, while also joining several communities other people have created. 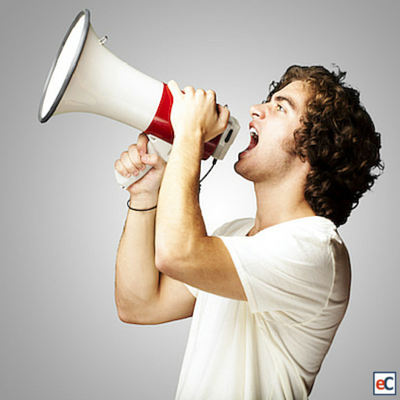 Share your blog posts only in the specific communities where they directly apply. Google+ might have a bad reputation, but we can attest to the fact that it can drive serious inbound traffic. We recently created our first Slideshare presentation and are happy we did. As we pressed publish on this post, it had received over 6,900 views. Not bad for our first post on Slideshare. The best part? We repurposed all of the content from an existing blog post and linked the Slideshare back to it. As the views began to climb, more and more Slideshare users began seeing it organically. This in turn gave us visibility to a whole new audience and helped drive readers back to our other blog posts. We highly recommend that you repurpose some of your existing blog posts into Slideshare presentations. It is an easy way to take advantage of your prior research and work, while exposing your content to a whole new audience of potential readers. We already discussed how popular emailing is. Think about how many email you send per week. If this makes you cringe, keep reading. All of those email you send can start driving traffic to your blog posts. As you can see, LinkedIn Pulse can be very powerful when used right. Since you ultimately want to use Pulse to drive traffic back to your blog site, a great strategy is to briefly tease your blog post and then include a link to the entire post. This gives potential readers some value initially and offers them easy access to your entire, more in-depth blog post. We recently published a roundup post featuring 22 social media experts that went viral. It sent our website traffic soaring up more than 400% and received considerable engagement in both the comment section and across several social networks. So, what did we do differently? We didn’t increase our promotion budget. We didn’t spend considerably more time on it than we do other posts. The only difference was the support, in the form of shares, from the amazing individuals included in the post. Nearly every expert we included gladly shared the post on their social media sites. That type of exposure would usually cost a lot of money, but all it cost us was some research, 75+ emails and a few hours of editing. As you can see, there are many ways to promote your blog posts for free. Like most things in life, there is a small caveat we must discuss. Think about the last time you received an unwanted link. This could have been an automated Direct Message on Twitter or a popup while browsing one of your favorite websites. How did it make you feel? Annoyed? Frustrated? As a blogger, these are not emotions you typically want to stir up in potential readers. Before you start incorporating any, or all, of these promotion strategies, make sure you understand the best practices for each platform. Otherwise, you might become the annoying person promoting unwanted links. Now it is your turn. What are your go-to strategies for promoting your blog posts? Let us know in the comment section below! Thank you for stopping by and if you found this post useful, please share it.